He was fed well, and as a result is on a diet! he is making good progress with his weight loss, but has a way to go, and its important that this is carried on in his new home. He is a happy friendly boy with love to give, and he doesn’t seem to have any issues with other dogs. We are looking for an experienced home with someone around during the day to give him the love and attention he has missed out on so far. As he has lived outside he may need a toilet training reminder! He is a big boy so is fairly strong on the lead. He hasn’t lived with young children or cats. 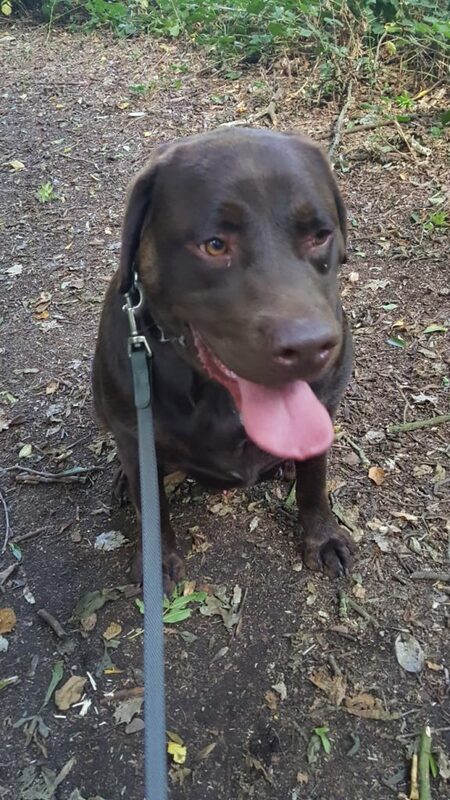 Hershey is in the Herts, Beds and Bucks area. If you feel you tick all the boxes, please complete the application form or contact Jacky on 07736791899 or Barbara on 01234831854 (please do not call after 8pm).